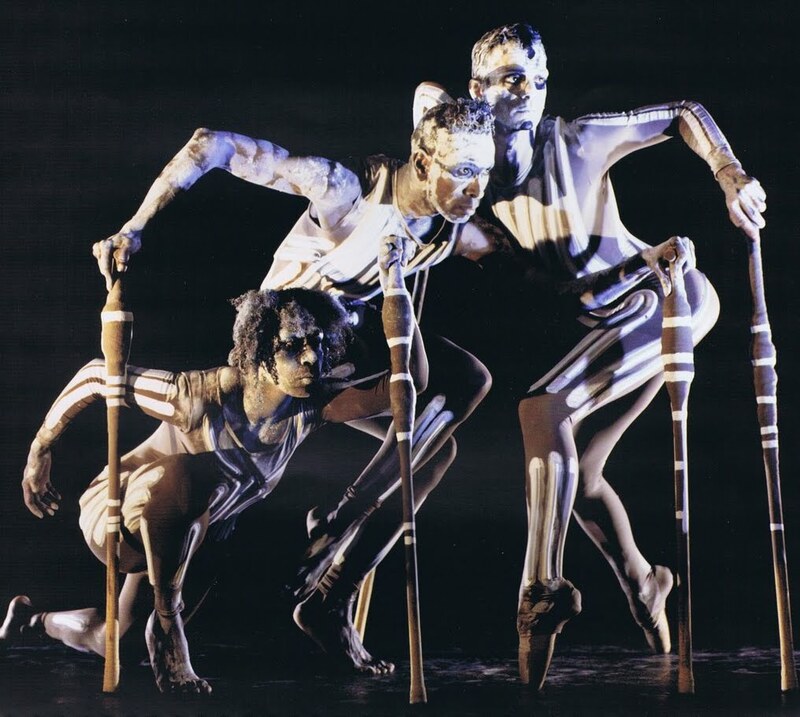 This work is performed by Australia's leading Indigenous Dance Company. The work is based on Lake Eyre (Kati Thanda) an enormous waterway in central Australia, one of the few untouched natural waterways in the world, sacred to the aboriginal Australian. This lake is an extraordinary oasis ...changes colour ...from desert , salt pan and as the rain falls into a flower garden until it fills with water & the wild life comes. 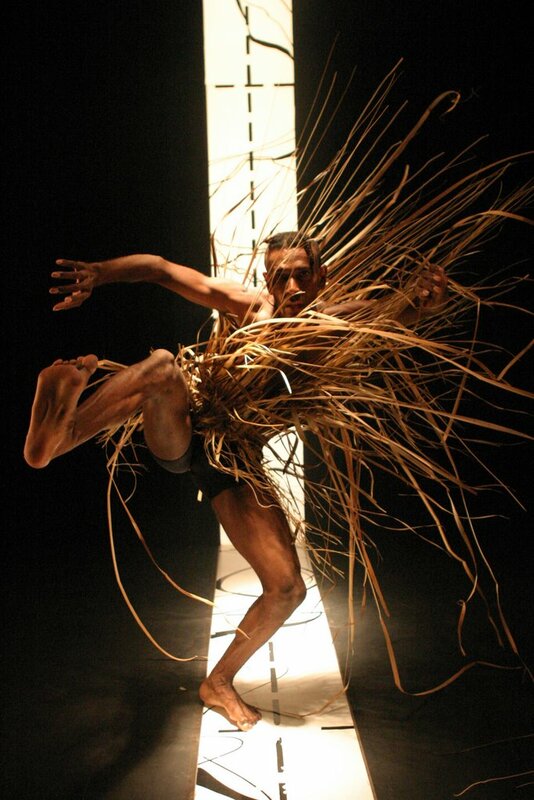 Choreographer Frances Rings explores the fundamental connection between Aboriginal people and land - how our land looks after us, how we connect with its spirit, and how we regard its future. Jennifer Irwin’s career spans 36 years constructing and designing costumes for drama, opera, film and, in particular, for dance and ballet. Jennifer designs regularly for all of the major Australian companies. Dance credits include: 34 works for the Sydney Dance Company, 20 years of repertoire for Bangarra Dance Theatre, the Australian Ballet, Singapore Dance Theatre, Royal New Zealand Ballet and West Australian Ballet. Jennifer has also designed extensively for the Sydney Theatre Company, Belvoir Theatre Company, the Melbourne Theatre Company and Opera Australia. Jennifer also designed some of the largest scale spectacular productions ever staged in Australia, including: The Awakening –the Indigenous segment of the Sydney 2000 Olympic Games opening ceremony; co-designed all the costumes for the Sydney 2000 Olympic Games closing ceremony; the official commemorative ceremony marking the Centenary of Australian Federation. Jennifer designed the international box office sensation 'Dirty Dancing' playing world wide.